Esthetician Marketing Tips at Design My Niche!I'm not an esthetician mentor or esthetician coach, but I can help you be a happy esthetician! Esthetician Marketing Tips and Ideas. Make Money as an Esthetician. Pamela J is the Founder of Everyday Esthetics Eyebrow Studio, Eyebrowmba.com online Eyebrow Design Course, GentleWaxPro.com Body Waxing Course and DesignMyNiche.com. Pamela has been called "...one of the best eyebrow designers in the beauty industry." Her clients call her service "The Holy Grail of eyebrows." 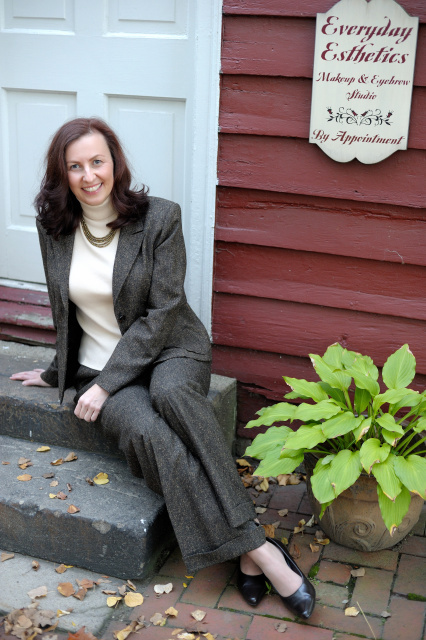 Pamela's websites have had nearly 1 MILLION Page Views and 250,000 Visitors and counting! She has successfully designed and marketed her beauty niche, and now she shows you how you can do it too! Pamela designed her niche beauty business during the worst possible time - the market crash of 2008. But she was able to create demand for her service and now charges up to $175 for an Eyebrow Design session with her. She has a waitlist for new clients that stretches on for years. Pamela has taught hundreds of estheticians from all over the world the secrets to great Eyebrow Design through her EyebrowMBA class. Her expert beauty advice has been featured on Today.com, Yahoo Shine, Fox News Magazine, Woman's World and Good Housekeeping just to name a few. For more about her press, visit her Studio or online eyebrow design course. Pamela is a Licensed Esthetician in Pennsylvania and California. Marketing for Estheticians at Design My Niche!